You’re going to want to grab a pen and paper for this episode because it’s packed with information and ideas on how to up your game and live a healthier life. I have included a lot of informationbelow but you may find specific suggestions that pertain to you that you’ll want to jot down. 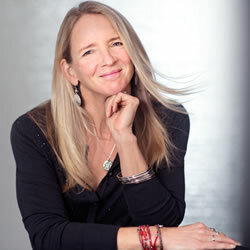 This conversation is with Dr. Robyn Benson. She’s a doctor of oriental medicine and she’s got a practice in Santa Fe. Her clinic is called Santa Fe Soul and she practices what she calls Amplified Regenerative Therapies (and we’ll get into the specifics of that in this conversation). There are a few things that struck me about Robyn. First, she’s full of energy. And I mean FULL of energy. We emailed a few times while I was still planning my visit to Santa Fe and she was really enthusiastic about wanting to speak to me and record this podcast. I realized as we were recording that this enthusiasm was because she’s SO passionate about what she does that she’s eager to share and, really, she wants people to get on board and create a healthier more vibrant life for themselves. She sees the possibilities in us all. And what I observed is that she has no doubts about what her life’s purpose is. Some of what she does at Santa Fe Soul includes cutting edge technologies and I’m going to guess that some of what she talks about will be new to many of you. But the results from these therapies are based on scientific research and they include everything from acupuncture to herbs and IV drips to light and sound therapies. At Santa Fe Soul, they treat a wide range of health issues including addiction, fatigue, chronic health issues, sleep disorders, Lyme disease, and they help people detox. And that’s just some of what they do. People who visit the center go for one-off treatments such as Myers’ Cocktails which gives their immune system a boost and they have people who take part in month-long programs to treat more serious issues such as addiction. After we recorded, I had the chance to experience their Tesla Lights. These are high frequency lights meant to recharge your body. I laid flat on a bed in a dark room with lights near my feet and head and another light nearby that changed color. Oxygen was then pumped in right near my face. I took the opportunity to meditate and breath in as deeply as I could. I definitely felt relaxed afterward. You may not be as lucky as I was to stop in to Santa Fe Soul for a treatment and you may not live in an area that has these services but there are still a lot of tips and information in this conversation that you can incorporate at home to feel better in pretty quick order.